Performance fabrics are fabrics made to withstand life’s everyday messes, weather you have fur babies, children or a messy spouse they will clean up like new. 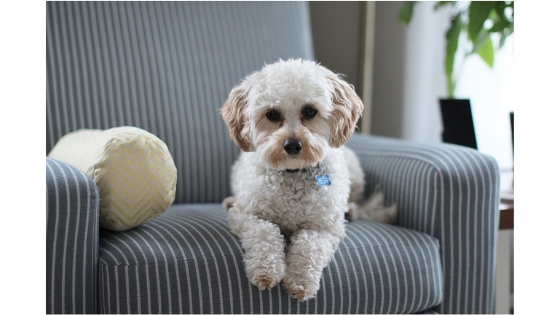 The best place to use performance fabrics is on your upholstered furniture or cushions that get the most use. It’s a must for dinning room and kitchen chairs and in your living/family room where everyone gathers. What are the benefits of them? The number one benefit of performance fabrics is that they can be cleaned per the manufactures instructions and will look like new for many years. Wine, soda, peanut butter and various other foods will clean right up. Crypton Home and Revolution are two manufactures of indoor performance fabrics that I use the most. Sunbrella in another manufacture, known for both indoor and outdoor fabrics. 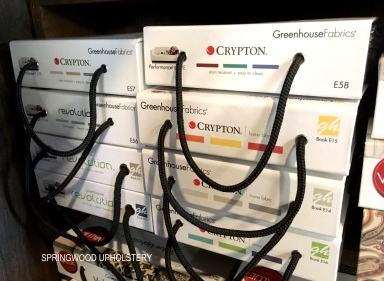 Crypton fabrics repel liquids, are odor and stain resistant, have a soft hand, wear well, and come in many textures and colors. Click here to see a video by Greenhouse Fabrics to how they stand up to life’s everyday messes. 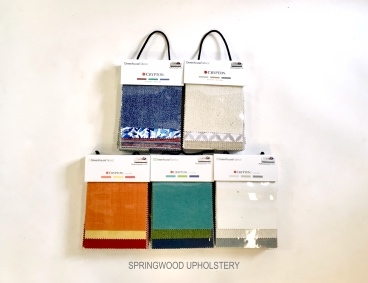 Revolution fabrics are stain resistant, have a soft hand, are bleach cleanable, and PFC chemical free. They do not repel water, however spills can be blotted up and cleaned with a beach solution recommended by the manufacture. 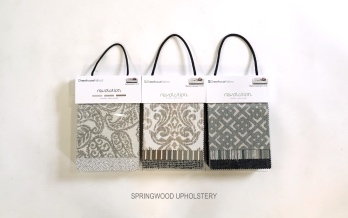 Click here to see a video on Revolution by Greenhouse Fabrics. Revolution fabrics are 100% made in the USA. I hope this blog explained what performance fabrics are and how they are great for families and pet lovers. Please feel free to reach out with any questions. To see more of my work visit my portfolio page. 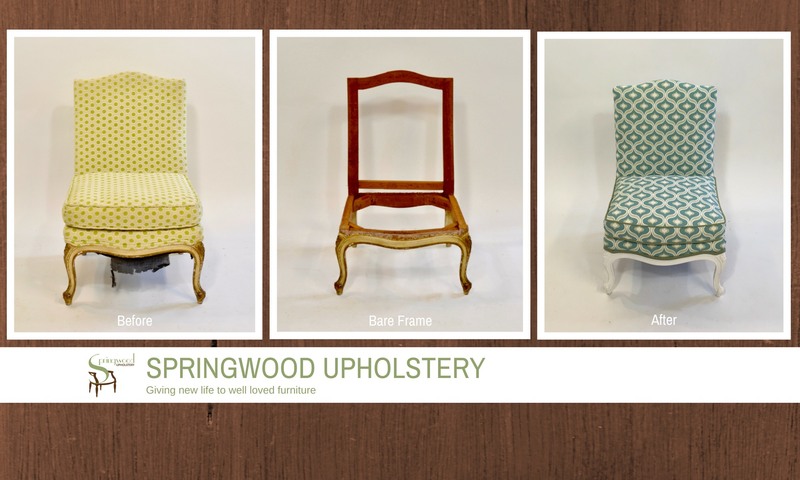 Follow Springwood Upholstery on Facebook and Instagram to see what project I am currently working on.